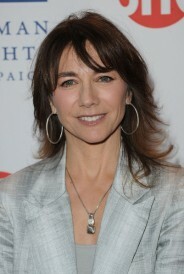 Ilene Chaiken, writer-director of lesbian favorites “The L Word” and “The Real L Word” is on the brink of producing a documentary, just as her original series nears its 10-year anniversary. The third installment of the “L Word” franchise is taking a new turn. It’s going to highlight a new and more heart-wrenching story while straying away from the more glamorized locations like L.A. and New York City. Instead, the producers (Magical Elves and Showtime) are looking at stories from Middle America. Chaiken recently sat down with The Hollywood Reporter where she discussed how complex and diverse the LGBT community is. “Being gay is not a monolithic proposition. We’ve lived so many different lives in so many different communities, with so many different experiences. I want to tell stories that are specific to being gay but reflect a lot of different realities of gay life. We were telling one story in ‘The Real L Word’ in LA and Brooklyn with a group of women we were following. This is a very different story, and it didn’t really belong in that story,” she explained. Posted March 20th, 2013 & filed under Entertainment.